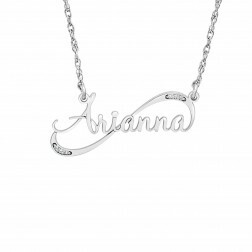 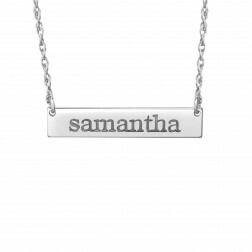 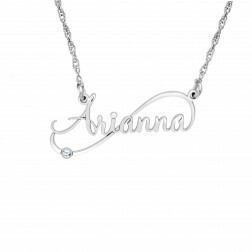 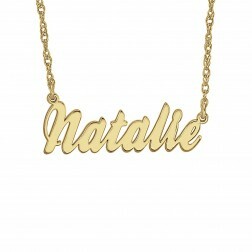 Design your nameplate necklace either with your name or the name of a loved one. 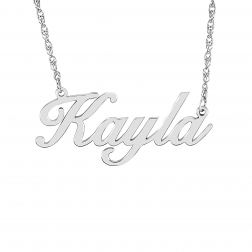 Personalize your nameplate with a lovely high-quality monogram necklace. 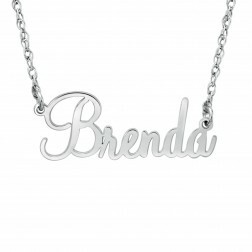 Choose your favorite nameplate font: cursive, mini fashion, bubble or script in silver and gold.